The Oculyzer has become a tremendously valuable tool in assessing patients for laser vision correction. The Oculyzer is a comprehensive eye scanner which provides data critical to the planning of the treatment. 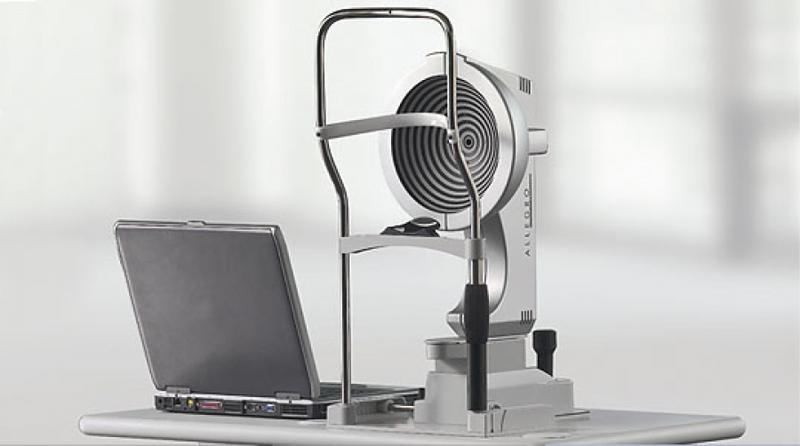 The Oculyzer images the anterior segment of the eye by a rotating Scheimpflug camera measurement. This rotating process supplies pictures in three dimensions. The center of the cornea is measured very precisely because of this rotational imaging process. The measurement process lasts less than two seconds, and minute eye movements are captured and corrected simultaneously. By measuring 25,000 true elevation points, precise representation, repeatability and analysis are guaranteed. The Oculyzer provides 3-dimensional chamber analysis of the complete anterior segment of the eye, corneal topography of both the front and the back of the cornea, thickness measurements across the entire diameter of cornea. It also can provide cataract analysis and clearly detect corneal disorders such as Keratoconus, where laser vision correction is sometimes not appropriate. The Oculyzer is the first instrument that provides a truly accurate measure of both the front and back surfaces of the cornea.